North Hills Dad. Host of @ringofhonor Wrestling w/ @ColtCabana & @realkevinkelly. #watchroh Prof @holyfamilyu. 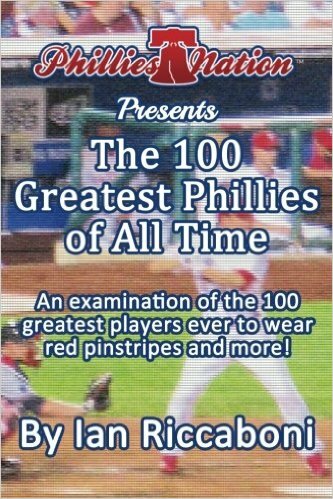 Author, 100 Greatest Phillies - Buy Now! Last week, I had the privilege of reading to Mr. Seibert’s class as part of Read Across America Week in conjunction with Ring of Honor. Please check out the link below for additional details on my ROH colleagues that joined classrooms across the country! Our great #ROH talent gave back to their local communities by reading to students as part of #ReadAcrossAmericaWeek! Thank you for having us, Jeff Gordon Children's Hospital! Stopped by Jeff Gordon Children’s Hospital today before Honor Reigns Supreme with Caprice Coleman, Kelly Klein, and Punishment Martinez! Thank you to all of the strong children, parents, and talented physicians, nurses, and staff for having us! UPDATE: Thanks to ROHWrestling.com for covering our visit and giving the spotlight to the great facility in Concord! Click the photo below for the feature story which includes some reflections. Marty Scurll Joins Colt and I on Commentary THIS WEEK on ROH TV! Check out this week’s ROH TV with Dalton Castle defending the ROH World Title against Punishment Martinez with “The Villain” Marty Scurll joining us on commentary! Check it out on WatchCharge.com at 10 PM or on the Fite.TV app any time after 7 PM tomorrow night (Monday)! Here is a preview of the fun! Week Two of SPMM 280 is in the books! Here is the 1-minute recap of what our class talked about tonight! Recap of tonight's #SPMM280 class here @holyfamilyu! Yesterday, talked briefly about how you can become a better gym-goer. Today, here is a playlist for 2018 to help you kick things into gear – check it out!